EXCLUSIVE: "I HAVE A SCRIPT FOR AJITH SIR" - POPULAR DIRECTOR REVEALS! Airaa is an upcoming film that has Nayanthara, Kalaiyarasan, Maathevan, Gabrella and others as a part of it's starcast. The film is directed by Sarjun of Echarikkai fame, who has also directed popular short films like Lakshmi and Maa. The film is produced by KJR Studios, and is all set for a release on March 28, alongside Super Deluxe. Speaking exclusively to Behindwoods, the director revealed that if he is doing a film with a big star, it will be with Ajith sir. He also revealed that he has a script ready for Thala. Ajith is currently toiling hard for the shoot of Nerkonda Paarvai with H Vinoth, that is being produced by Boney Kapoor under the banner Bayview Projects LLP. 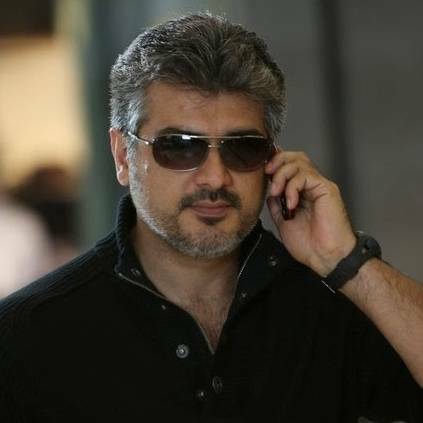 The film will be releasing this summer, following which Ajith will work with Boney Kapoor again. People looking for online information on Airaa, Ajith Kumar, Nayanthara, Sarjun KM will find this news story useful.